Update: I built an app in the summer of 2015 to explore tweets of presidential candidates. 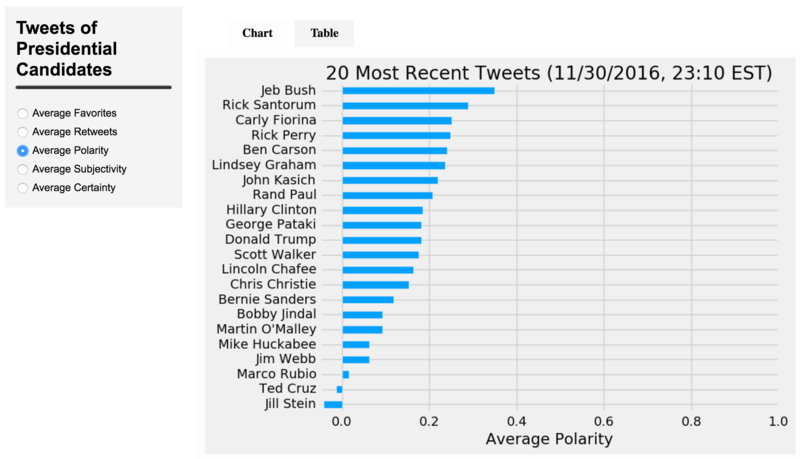 It provided realtime text analysis of the 20 most recent tweets of the candidates, including bar charts, a sortable table, and the text of the original tweets. I included the top contending Republicans, Democrats, and Green Party candidate, Jill Stein – 22 candidates in all. When I checked on my app over the course of about a year, Donald Trump was frequently the most favorited and retweeted by far. Maybe this was a warning signal. Now that the election is over, I will no longer be hosting the app. Below is my original description along with some screenshots. 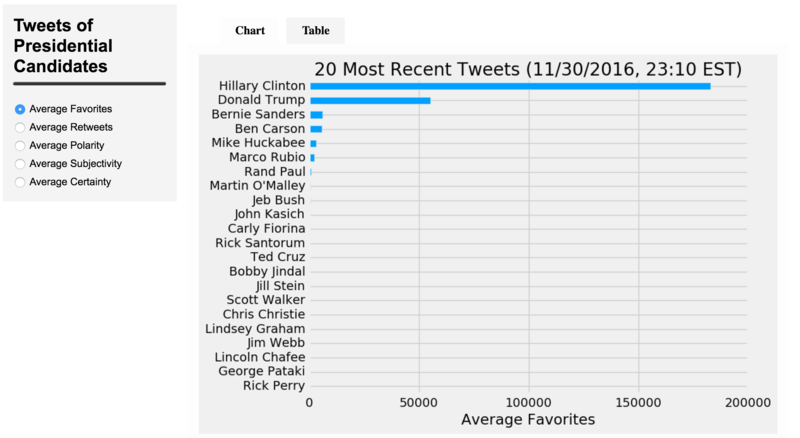 Hillary Clinton’s post-election tweets made her the most retweeted and favorited of the candidates at the time the app was shut down. 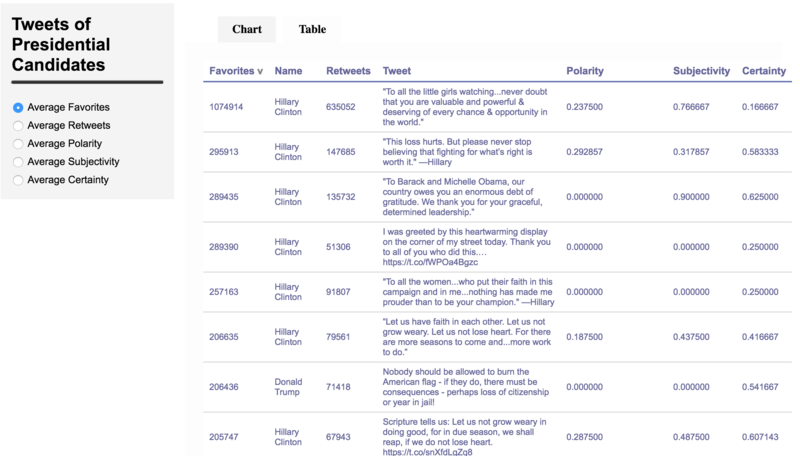 This is a web app which runs some basic analysis and natural language processing on the 20 most recent tweets of the U.S. presidential candidates. Polarity is a number from -1 to 1 and indicates the positivity or negativity of text. Subjectivity indicates how opinionated a text is, 1 being more subjective/opinionated and 0 being more objective. Certainty is the level of strength or weakness expressed by the writer from -1 to 1. You can read more about these metrics and how I built this app on my blog, or check out the code on GitHub.